YELLOWSTONE NATIONAL PARK, Wyo. (AP) — The world’s largest active geyser has erupted four times in the last seven weeks, a spate of activity that has geophysicists excited about the Yellowstone National Park water feature. AAPG Annual Convention & Exhibition is Coming to Salt Lake City! 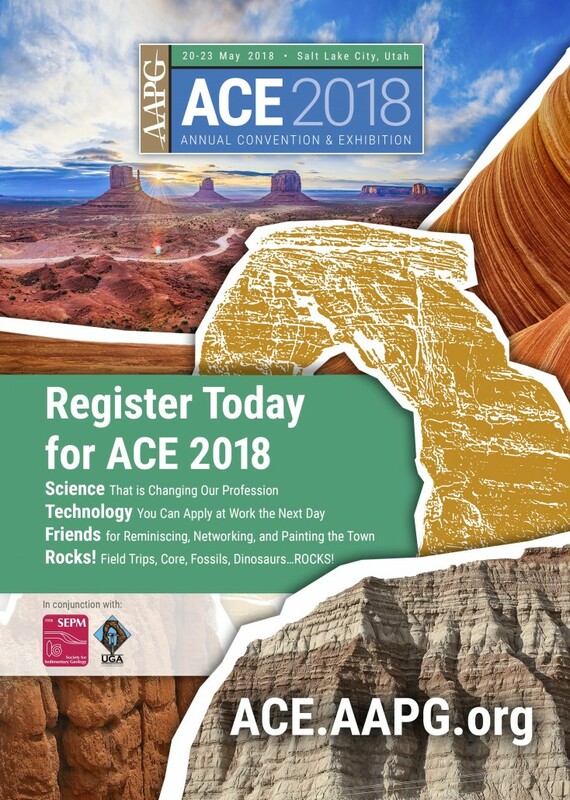 The American Association of Petroleum Geologists (AAPG) is holding their Annual Convention and Exhibition (ACE) meeting in Salt Lake City on May 20–23, 2018. As many as 5000 geologists and other petroleum professionals from all over the world will descend on Salt Lake City to participate in this annual conference. 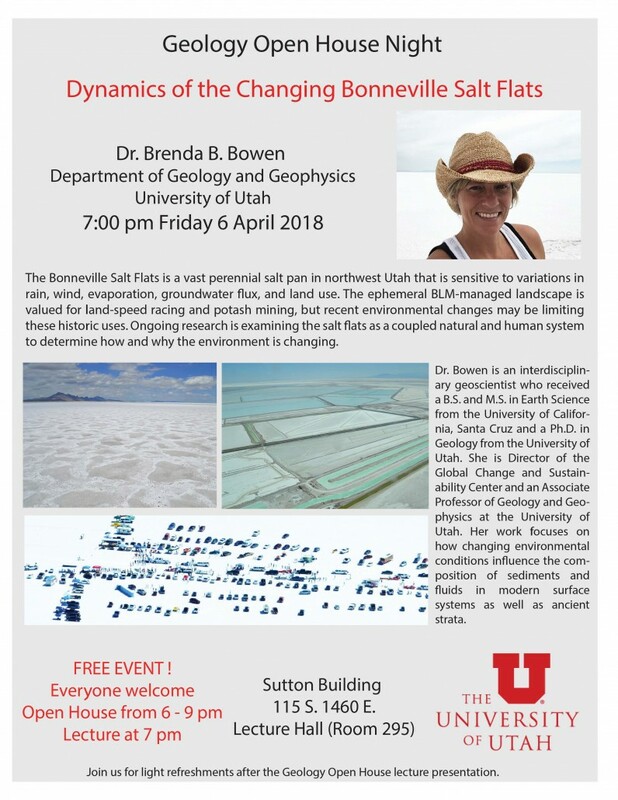 https://geology.utah.gov/wp-content/uploads/ugs-logo-large.png 0 0 Utah Geological Survey https://geology.utah.gov/wp-content/uploads/ugs-logo-large.png Utah Geological Survey2018-05-02 06:46:292018-05-02 06:46:29AAPG Annual Convention & Exhibition is Coming to Salt Lake City! At the age of 57, geologist Ursula Marvin traveled to Antarctica to hunt for meteorites, the first woman to ever do so. Geologists Day is celebrated annually on the first Sunday of April throughout the world. 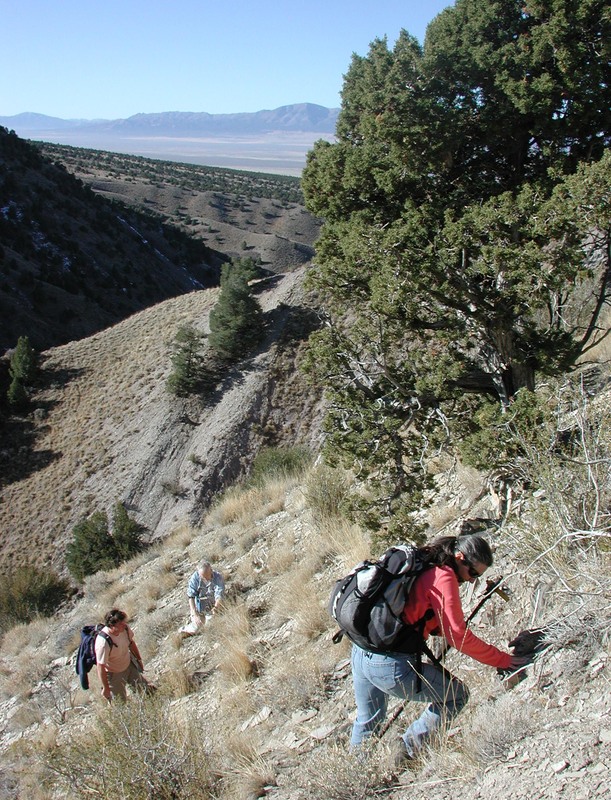 Outcrop of the Mississippian/Pennsylvanian Manning Canyon Shale in Soldier Canyon, Oquirrh Mountains, Tooele County, Utah. Utah Geological Survey geologists Craig Morgan, Taylor Boden, and Stephanie Carney are measuring, describing, and sampling the Manning Canyon stratigraphic section. 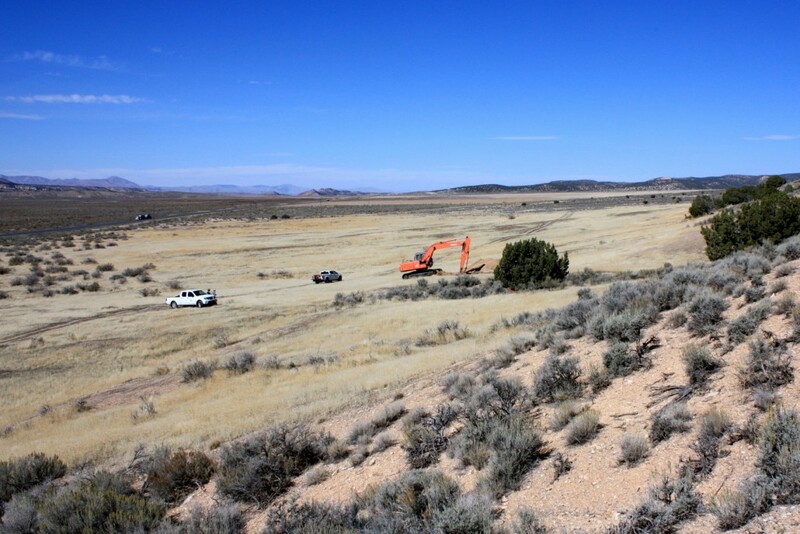 The first paleoseismic research trench ever dug on the Fayette segment of the Wasatch fault as part of a paleoseismic study of the southern Wasatch fault zone in central Utah. The project, funded by UGS and USGS National Earthquake Hazards Reduction Program, will evaluate the recurrence of large earthquakes on, and interactions between, the Levan and Fayette segments of the fault.